The increase in consumption translates into an extra 655 hospital admissions and 31 deaths in B.C., researchers said. 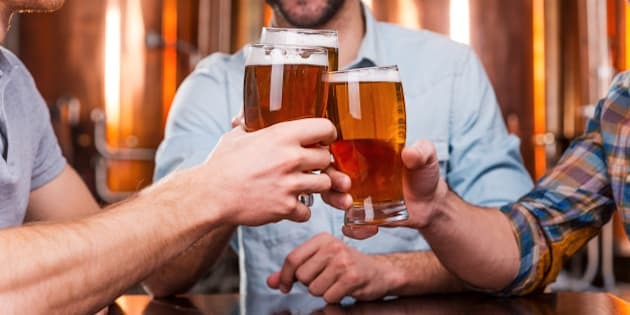 British Columbians drank their way to the largest increase in alcohol consumption in more than a decade according to a new study done by the University of Victoria. "This is quite a noticeable change. It's about three per cent the total consumption has gone up in one year," said Dr. Tim Stockwell. The University of Victoria's Centre for Addictions Research has been studying alcohol consumption for more than a decade. 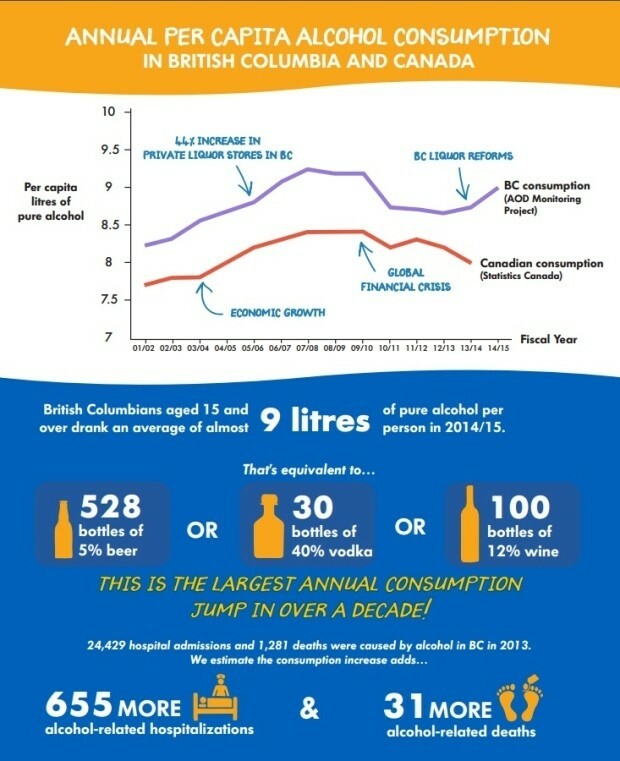 By looking at the sale of alcohol in 2014/15, they found that the numbers show the average British Columbian drinks the equivalent of 528 bottles of beer or 100 bottles of wine per year. Story continues after infographic. Click for full size. The research team says the rising level of alcohol consumption could be linked to the recent liquor reforms. "We can't be certain, but it won't have helped that the liquor laws have been relaxing availability and improving affordability with happy hours and the like," said Stockwell. The research team estimates the increase in consumption translates into an extra 655 hospital admissions and 31 deaths in B.C. While the rate of drinking is increasing after several years of decline, the total amount drunk remains below the average consumption recorded in 2007 by the researchers, following the expansion of private liquor stores in B.C.